Contrary to widespread perception that it would be a boon, Britain’s exit from the European Union could cast the Russian economy into troubled waters. Although Russia has been called one of Brexit's likely beneficiaries, Britain’s impending exit from the European Union (EU) poses considerably more risks for the Russian economy than advantages. Specialists believe that Russia's economy is threatened by the fall in oil prices because of the reduction in world trade, while Russian companies could delist their stocks from the London Stock Exchange, which would decrease their value. An immediate fallout of Brexit could be that the government could postpone the sale of shares in Rosneft, Russia's largest oil company. Simultaneously, it is also possible that the EU will soften its anti-Russian sanctions, since Britain was a consistent proponent of prolonging them. After the British referendum results were declared, the price of crude oil fell by more than 6 percent to $47.77 per barrel. "Market participants are expecting a noticeable reduction in the demand for crude due to the slowdown of the largest European economies, the rupture of economic ties and instability on the currency market," explained Timur Nigmatullin, financial analyst at Finam Holdings. Britain’s exit from the EU will lead to a reduction of trade. "Today the country [UK] follows trade regulations established by the EU,” noted Igor Kupalov, advisor to Russia's Permanent Representative to the UN and other international organizations in Geneva. “Therefore, if it leaves the EU it will have to determine new trade regulations within the WTO." "In case the UK leaves the European Union, it has a clean sheet, no agreements, no regulations on tariffs or taxes," Keith Rockwell, director for the WTO's Information and External Relations Division, said at a meeting with Russian journalists in Geneva. 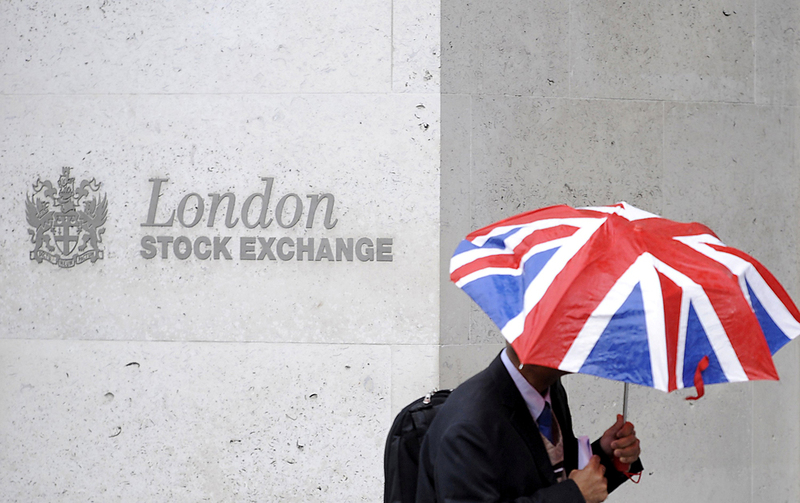 Russia's largest companies usually trade their shares on the London Stock Exchange. "After Brexit, a series of companies will delist their stocks," believes Nigmatullin. Rosneft, Russia's largest oil company, could be one such company. In 2016 the government decided to sell 19 percent of Rosneft shares. Buyers always focus on a company's public value. Now, Rosneft could either postpone the sale or even abandon the stock exchange. In an interview with Bloomberg, German Gref, head of Russia’s largest state-owned Sberbank, said the value of Russian companies could fall by 10 percent. Besides Rosneft, the government also intends to sell shares of the Alrosa diamond company, which also trades on the London Stock Exchange. After the British referendum results were declared, trade on the Moscow Stock Exchange on June 24 opened with lower quotes. For example, the IRTS index, which is fundamental for the Russian market, fell by over five percent. Sberbank's shares alone, in the run-up to the Brexit, fell by 10 percent and could fall by another 10 percent, said Gref. "In the course of the next 2-3 weeks all Russian companies will lose 5-10 percent of their value,” he said. “This is why there is not a single person in the Russian government that would welcome the UK’s exit from the EU." Post sanctions, will Russia integrate into the Western world? Gref believes it is in Russia’s interest to preserve the unity of the EU as a trade partner. The only positive consequence of Brexit for the Russian economy could be a possible weakening of anti-Russian sanctions. Britain had consistently spoken in favour of preserving sanctions against Russia, introduced in 2014 in the aftermath of the Ukrainian crisis, although some other countries – primarily France and Italy – have expressed a softer position. After Britain’s exit from the EU, sanctions against Russia could be lessened, Sergei Sobyanin the Mayor of Moscow suggested on Twitter. "Without UK no one in the EU will so ardently defend sanctions against Russia," he wrote. Philip Hammond, Britain’s Secretary for Foreign and Commonwealth Affairs, called on EU countries to maintain the anti-Russian sanctions. Though in his words, the UK's exit could theoretically mean the softening of the sanctions. There is, of course, no guarantee that removal of sanctions would have a positive effect on Russia's economy. Should Russia worry about a Brazilian ‘Brexit’?